The up and coming check-in service known as SCVNGR has just announced a rather cool feature today that rewards users for going places with friends. Starting today, folks running SCVNGR on their Android and iPhone handsets can check-in with friends by bumping phones together. Cheers! Points are assigned based on the number of users checking in together at a rate of two per friend. Ten friends at the office party equates to twenty points! Even better is the fact that you don’t have to literally be friends with everyone, nor bump phones. Using their “near-field device-to-device recognition technology”, an entire conference or stadium worth of people can check in “together”. If you happen to share your location over Twitter or Facebook, the service will automatically @mention everyone associated with the check-in. That is, of course, provided you are into that whole broadcasting thing. The next time you arrive for dinner or a drink, open SCVNGR and check-in. Don’t forget to tell your Android-toting friends to do the same! NOTE: You will need an Android device running 2.1 or higher to take advantage of SCVNGR. You’re probably asking what makes SCVNGR different from say, Gowalla or Foursquare. That’s easy! 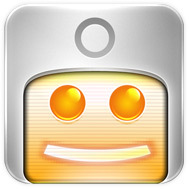 Rather than simply providing badges and stickers for checking in, SCVNGR turns the whole thing into a game. Each place listed on SCVNGR comes with a list of options and associated points. Start with snapping a photo or leaving a comment for a few points. Business owners and frequent visitors can also add their own challenges for rewards, too. “Take a picture of yourself eating the Belly Buster” for five points!